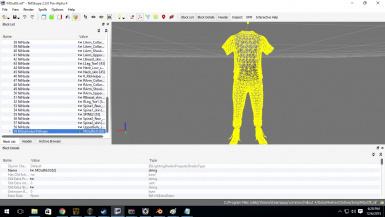 This tutorial shows at least one method of using alpha transparency to create edited clothing and armors. 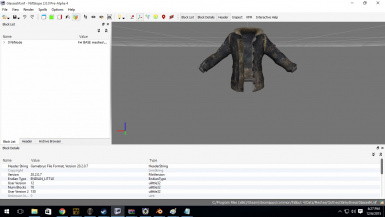 It's a crude method, but it will suffice until .nif import export scripts are available for the FO4 .nif format. 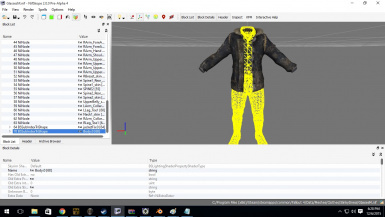 "What can I do to make a custom outfit? I want to put X top with Y bottom..."
... this tutorial might be for you! This tutorial is a simple series of 22 images that explains how to use nifskope and gibbed's FO4 tools (along with your preferred image editing program) to create new clothing and armor. 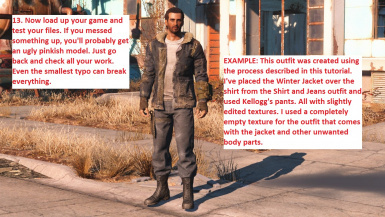 In theory, this tutorial tells you everything you need to know to make the FO4 version of "Tailor Made" or create a few custom outfits for yourself. - If the mesh already has an alpha property on it, you don't need to add another. 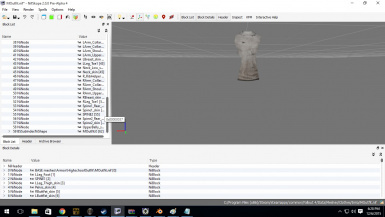 - Material Editor is another option for editing/creating bgsm files. 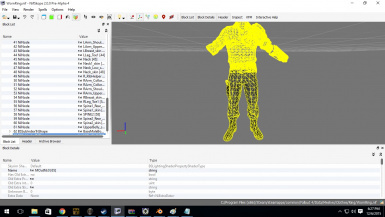 This tutorial uses gibbed's tools. If this tutorial helps you out, please say a word of thanks. 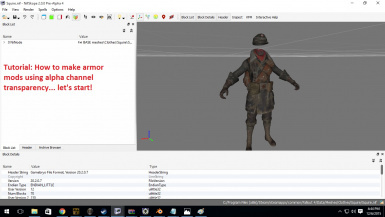 And if you make a mod using this method after reading this tutorial, please make note in your credits. I'm not after attention; I just want to know this wasn't a waste of my time.